KingoRoot is a powerful single click rooting software with the highest possible success rate. 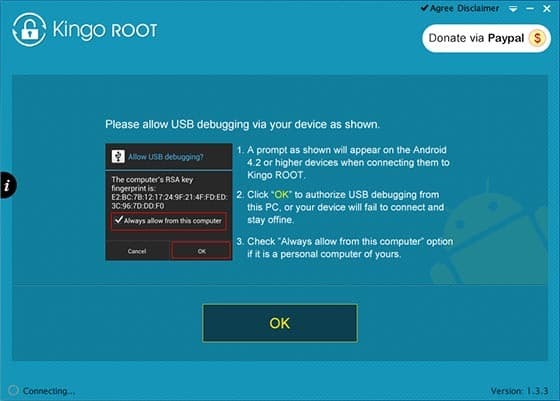 Now you can boost your Android device by rooting it with Kinggo Root. Enjoy the fastest and easiest Android rooting experience. Kingo ROOT allows you to get root rights of any Android device in the easiest and most accessible way. Now everyone can install custom firmware. It often happens that you need to get root rights or full administrative access, allowing you to make any manipulations with the files of the Android OS. Kingo Root needs to be installed on a computer running the Windows operating system. It’s not always easy to get root for an Android device due to various locks by the smartphone manufacturer. Manufacturers often block the possibility of unhindered installation of third-party firmware due to security issues (It may contain viruses and spyware), as well as the fact that such firmware can be more productive than official firmware (for example, CyanogenMod ) and this negatively affects the company's reputation. It also happens that the smartphone of previous models is no longer planned to be updated, thereby forcing the user to spend money on a new device (such not quite decent actions of vendors increase their profits and empty the pockets of customers, confirming the obsolescence theory). This is the fault of many manufacturers, including LG, HTC, Samsung and many others. 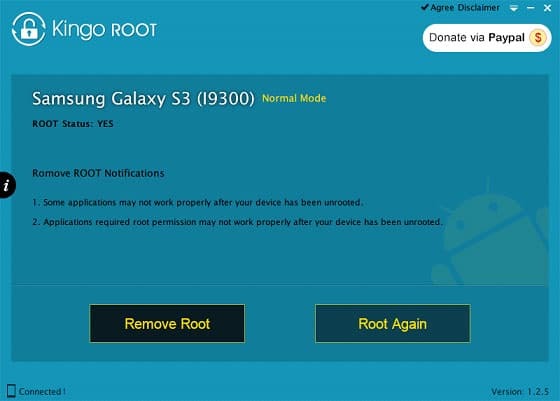 Thus, in order to get the root right to your Android phone, a special program called Kinggo Root, which can be downloaded for free to your computer, will help you to install and delete root rights. 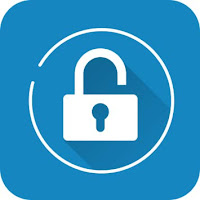 It contains a huge database of smartphones from various manufacturers, allowing it to quickly, safely, and most importantly without undue attention from the user, obtain the desired credentials and access to the system. After that, you can install any firmware or special software, test and modify the Android operating system of the phone. As we have already noted, Kingo Root is suitable for almost any smartphone, it takes a small amount of computer resources, has a simple and intuitive user interface, does all the hard work for the user, and does all the work in a matter of minutes. Thus, after connecting the android device to the computer via USB, it is necessary to activate the debugging mode via USB on the device. Next, King Root will independently determine the device used and the version of the operating system being used. To continue, simply click on the "Root" button. On average, it takes up to 5-7 minutes to get root-permissions, but the process can take a long time (Depending on the version of the Android and the model of the device). After that, if successful, we will get the long-awaited full access to the file system of the smartphone. Kingo Root is a PC program that allows you to get ROOT rights in one click (So-called One Click Root ). Activate the "USB Debugging mode" in the settings of your smartphone and activate the item "Unknown sources"
After that, your smartphone should automatically reboot. If after restarting the smartphone, ROOT rights are not set, try to repeat the procedure again. Kingo ROOT is licensed as freeware for PC or laptop with Windows OS without restrictions. It is in the Mobile Tools category and is available for all PC users as a free download. Does not install additional applications. Click on the below button in order to start Kinggo ROOT download for PC. It's a complete offline installer and standalone setup file. This setup would be compatible with both 32 and 64-bit windows.